This book presents the author’s digitization of Pirie’s substantial yet flawed corpus of 9th-century Northumbrian ‘stycas’. This database, enhanced by data from elsewhere, is compared by location with the artefactual database known as VASLE (created at the University of York, 2008) to demonstrate that the co-occurrence of coins and portable artefacts defines monetary evolution in Northumbria. Additionally, the author presents a new periodization and reveals the previously disparaged gold shillings of York to have been issued by Bishop Paulinus, a disruptive finding chronologically, with wider consequences. Northumbria benefited increasingly, both monetarily and fiscally, as the face value of coins fell. 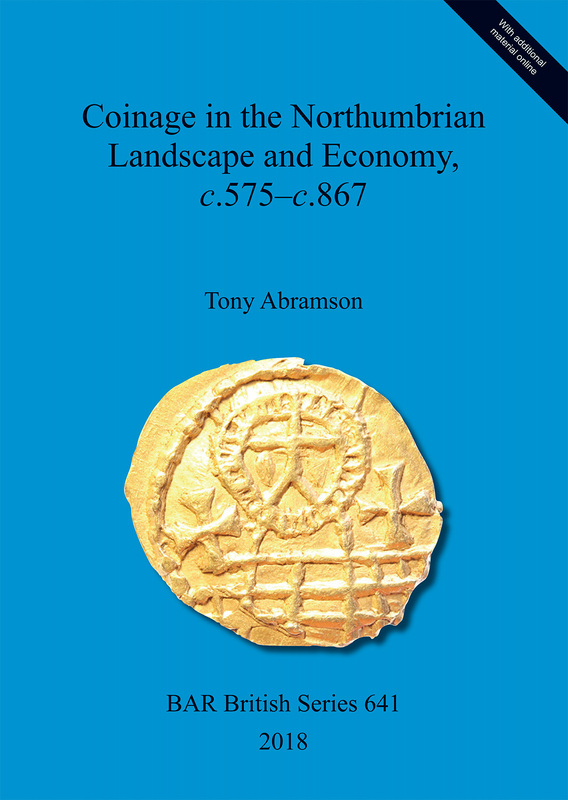 Other conclusions include the idea that Northumbrian coin production was erratic; that the Yorkshire Wolds were more highly monetized than the surrounding lowlands, indicating a more enterprising culture; that styca hoards represent episcopal expropriations; and that there were significant changes in settlement and economy in the central lowlands. This work demonstrates that monetization reflected northern independence, innovation and enterprise. Tony Abramson has lectured and published widely on early medieval coinage, is president of the Yorkshire Numismatic Society and organises biennial symposia. He was awarded the British Numismatic Society’s Jeffrey North medal in 2017. His Sceatta List (second edition) was nominated for the 2018 International Association of Professional Numismatistsbook prize.